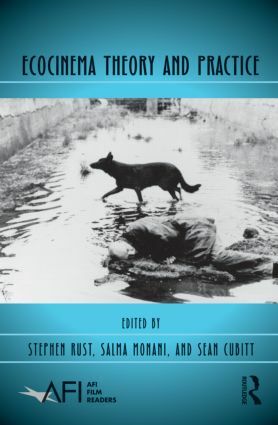 Ecocinema Theory and Practice is the first collection of its kind—an anthology that offers a comprehensive introduction to the rapidly growing field of eco-film criticism, a branch of critical scholarship that investigates cinema’s intersections with environmental understandings. It references seminal readings through cutting edge research and is designed as an introduction to the field as well as a sourcebook. It defines ecocinema studies, sketches its development over the past twenty years, provides theoretical frameworks for moving forward, and presents eloquent examples of the practice of eco-film criticism through essays written by the field’s leading and emerging scholars. From explicitly environmental films such as Werner Herzong's Grizzly Man and Roland Emmerich's The Day After Tomorrow to less obvious examples like Errol Morris's Fast, Cheap & Out of Control and Christopher Nolan's Inception, the pieces in this collection comprehensively interrogate the breadth of ecocinema. Ecocinema Theory and Practice also directs readers to further study through lists of recommended readings, professional organizations, and relevant periodicals.